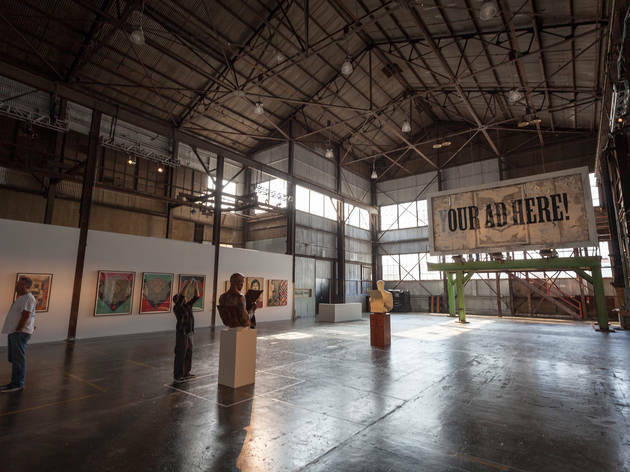 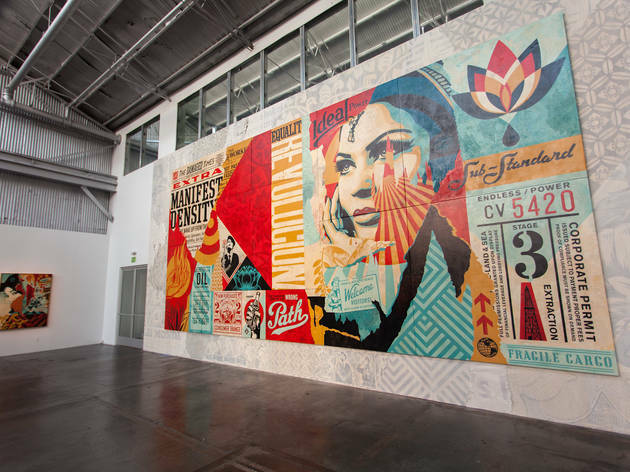 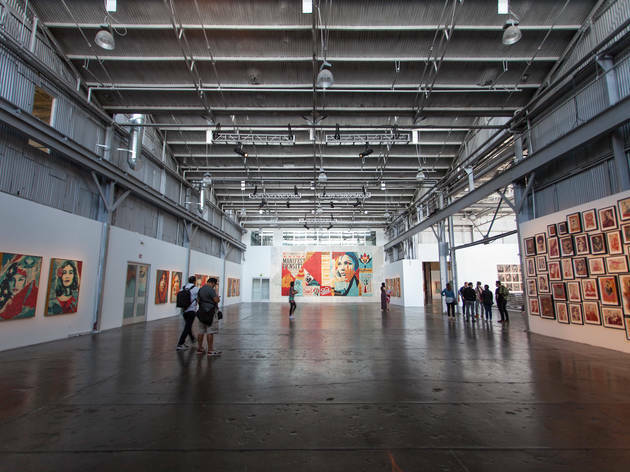 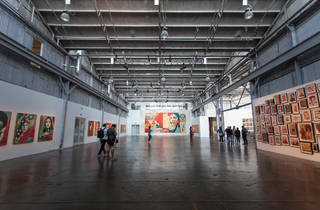 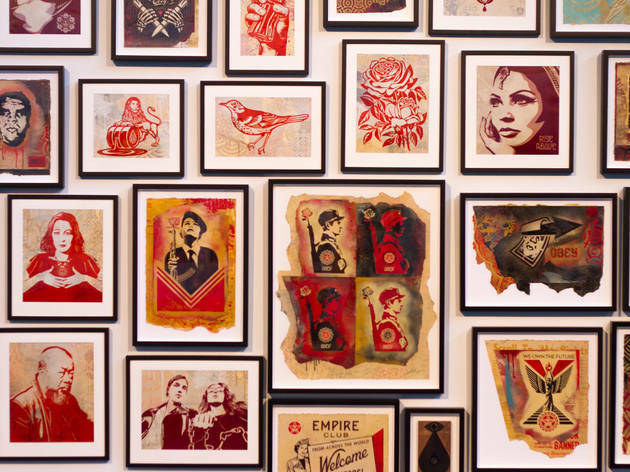 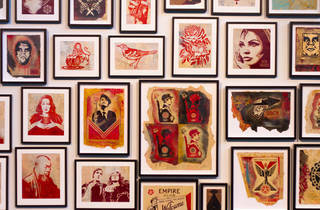 This massive solo exhibition assembles 200 politically charged, beautifully colored works from artist Shepard Fairey. 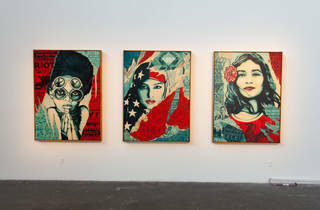 If Shepard Fairey was most recognizable for his “Obey Giant” stickers and later his Obama “Hope” poster, then “Damaged,” a one-man gallery show on the edge of Chinatown, marks yet another phase of recognizable work in Fairey’s career: Colorful mixed media portraits that balance crisis and vitality, like the beautiful prints that would become inextricably tied to the Women’s March. 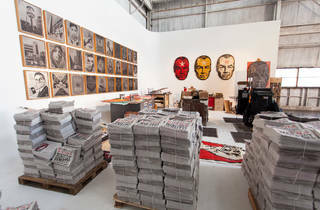 Fairey’s works draw from all forms of media and are stuffed with pop culture references—the exhibition title takes its name from a 1981 Black Flag album. Through paintings, sculptures, etchings and stencils, he explores the damaged state of politics, human rights and the enviornment. 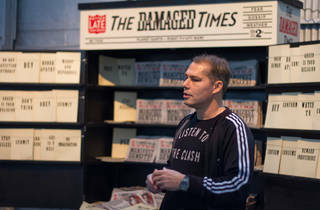 Fairey’s aim, he says, is not to tell people what to think, but rather to encourage them to think. 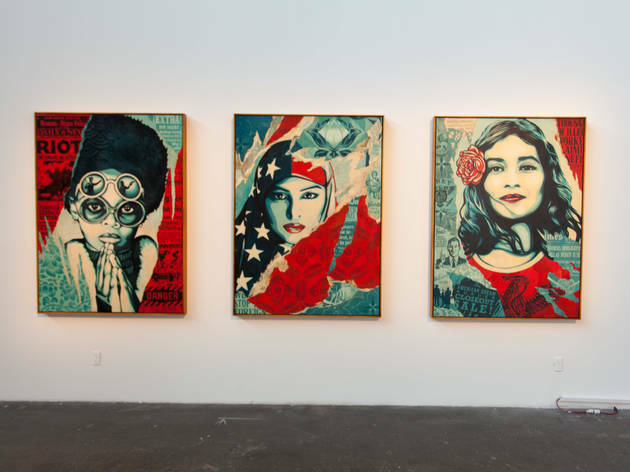 Whether or not you find the politics convincing, it’s difficult to deny the collective visual impact of the art. 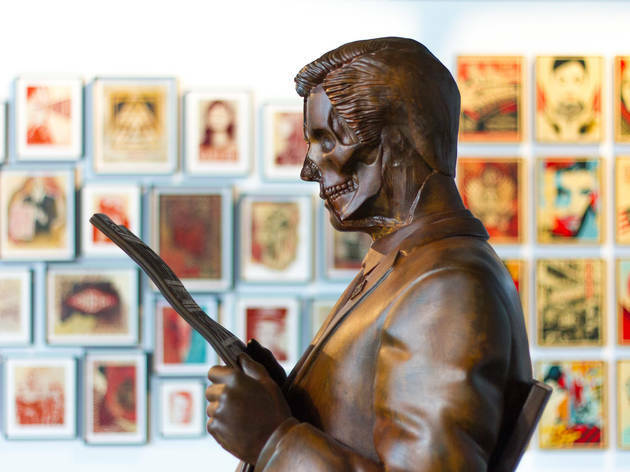 Though you can often see Fairey’s work at his Echo Park gallery, Subliminal Projects, it’s rare to find this many pieces together—organizing gallery Library Street Collective suggests it’s Fairey’s largest solo display in L.A. in nearly a decade. 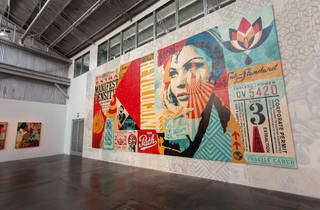 And though you may have seem his designs on a screen or a printout, the vibrant collages pop in person with a careful thought toward composition that comes with Fairey’s illustration and design background. 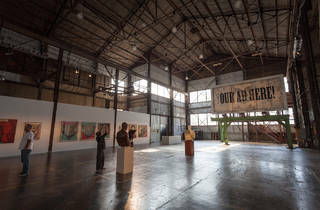 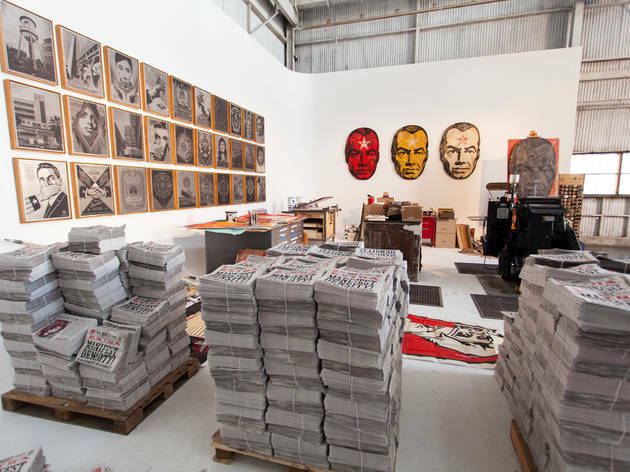 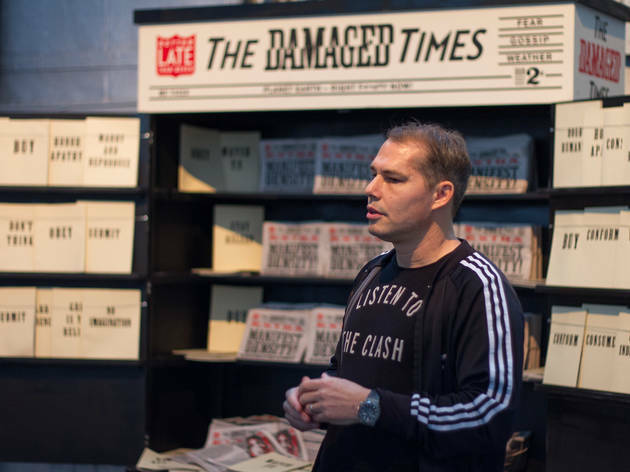 Visitors to the exhibition, located at 1650 Naud Street, can make on-demand protest prints as well as pick up a copy of The Damaged Times newspaper. 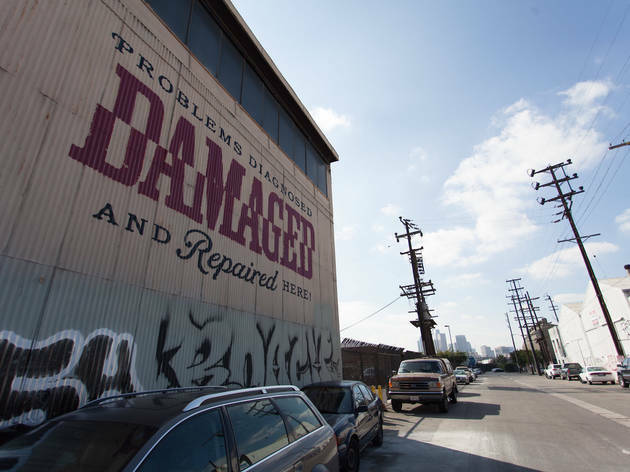 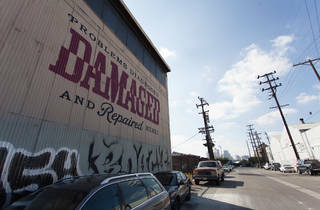 Parking in the warehouse district can be tight, so consider walking over from L.A. State Historic Park.